This is really simple, really fun and the kids really like it. 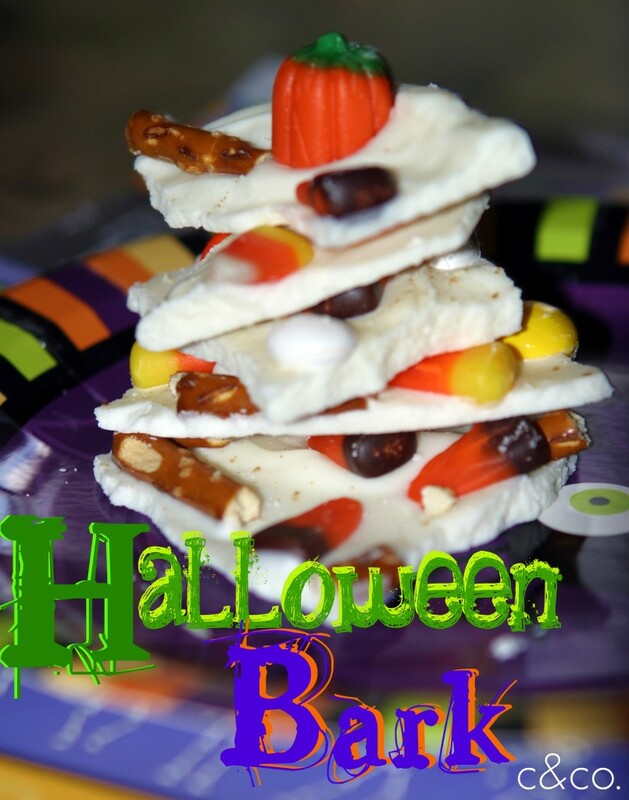 Halloween Bark makes a great treat for a Halloween party or as a favor for goodie bags. I love the idea of salty and sweet. My kids begged for more, so I think it goes without saying… this was a hit. You know me, I really like to grab the candy wafers from the craft store for projects like this, but this time I grabbed a white chocolate candy brick on the baking aisle at the grocery store. 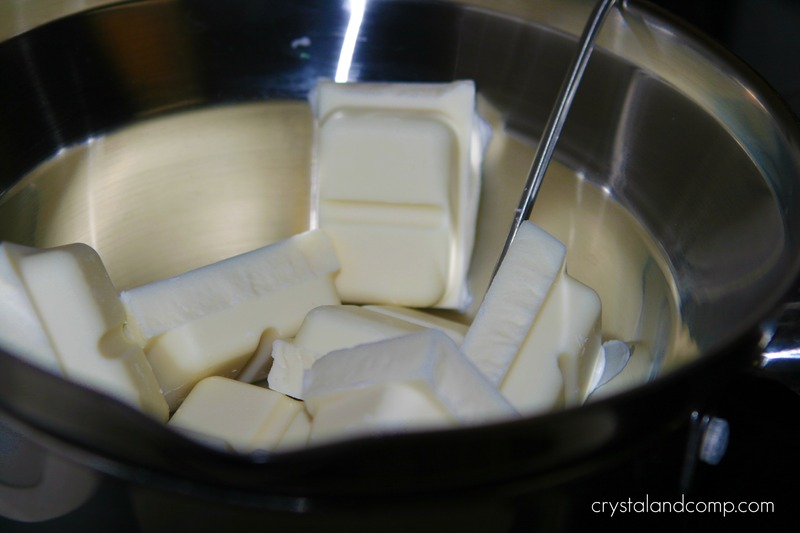 Break the brick of candy up and place it in a double boiler. This time I used a digital thermometer to prevent getting the candy too hot. When you get it too hot the candy will not melt properly. 230 degrees is the ideal melting temperature. Grab a cookie sheet and cover it in parchment paper. 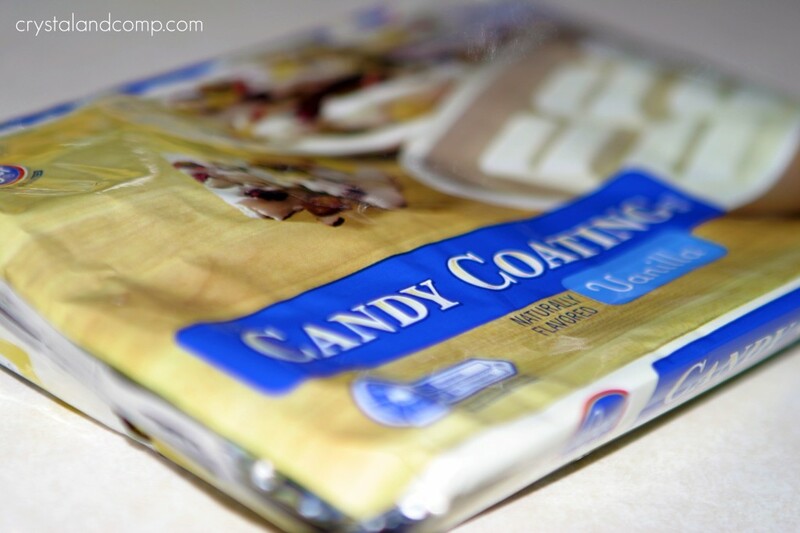 You could also use wax paper or foil. 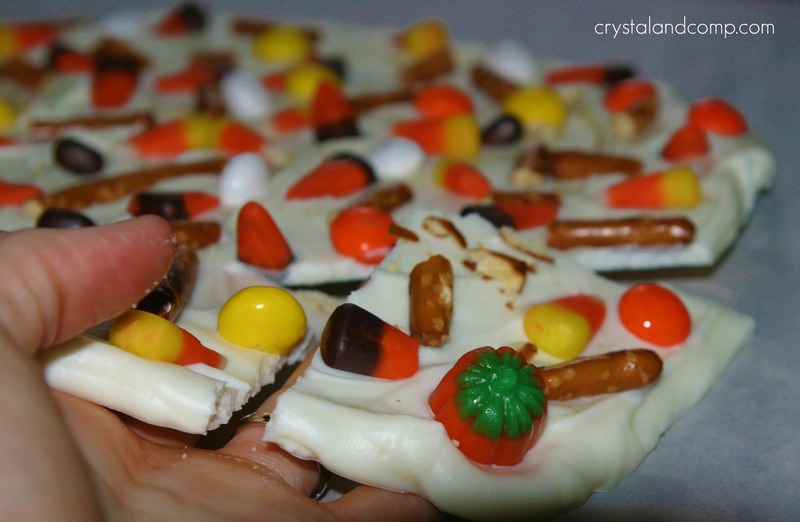 Once the chocolate is melted, pour it onto the parchment paper covered cookie sheet. It is thick enough that it does not run. Spread the chocolate out with a plastic spreader. 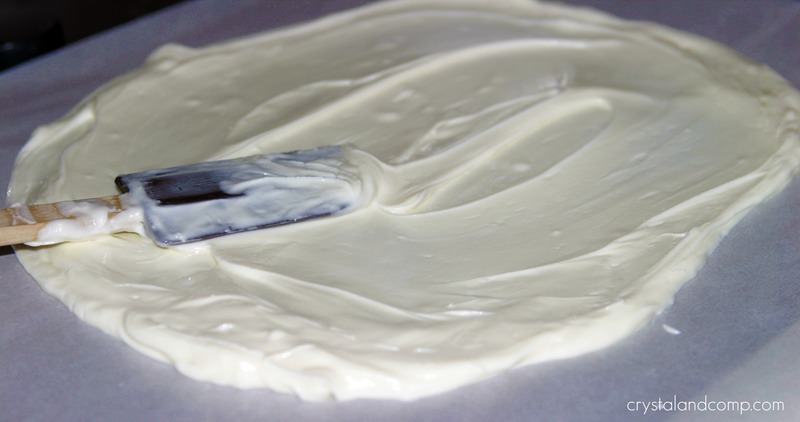 You do not want to spread it too thin. I created a 10×12 sheet of chocolate. You want it to stay think enough to hold the toppings you are going to add. 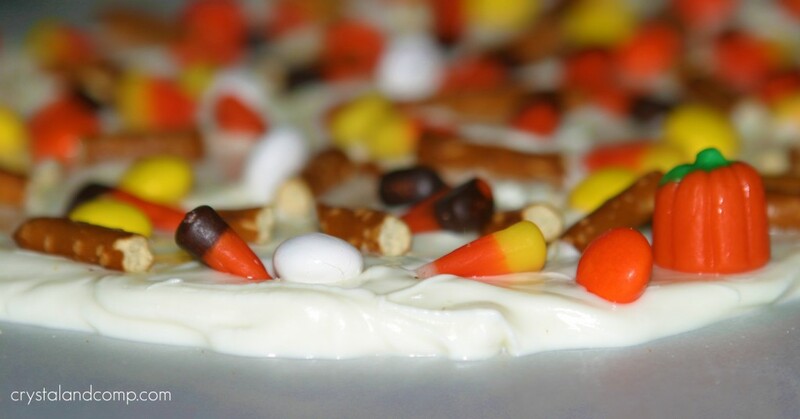 For a salty sweet version I used broken pretzel rods, autumn mix candy corns (with little pumpkins), and Halloween festive m&m’s. Toss on your pretzel pieces. Toss on the candy corn pieces. It will be nice and thick like the photo below. Now, let it cook 100%. I leave mine to set for about 4-5 hours. You can place the cookie sheet in the fridge or freezer to speed up the hardening process. Once the bark is hardened 100%, you can lift it from the parchment paper and it will begin to break apart. I like for my pieces to be about 2 inches by 2 inches. You can bag it up in little cello bags and send them as a treat for your little one’s Halloween Party. You can set them out on a tray for everyone to enjoy. Or, I like to place the pieces in a zip lock bag and store them in the fridge. I add one to each lunch box as a festive treat, or grab one for a sweet after school surprise. This time I used a digital thermometer to prevent getting the candy too hot- 230 degrees is the ideal melting temperature. Grab a cookie sheet and cover it in parchment paper. Once the chocolate is melted, pour it onto the parchment paper.It is thick enough that it does not run. Spread the chocolate out with a plastic spreader. You do not want to spread it too thin. I created a 10x12 sheet of chocolate. Now, let it cook 100%. I leave mine to set for about 4-5 hours.You can place the cookie sheet in the fridge or freezer to speed up the hardening process. 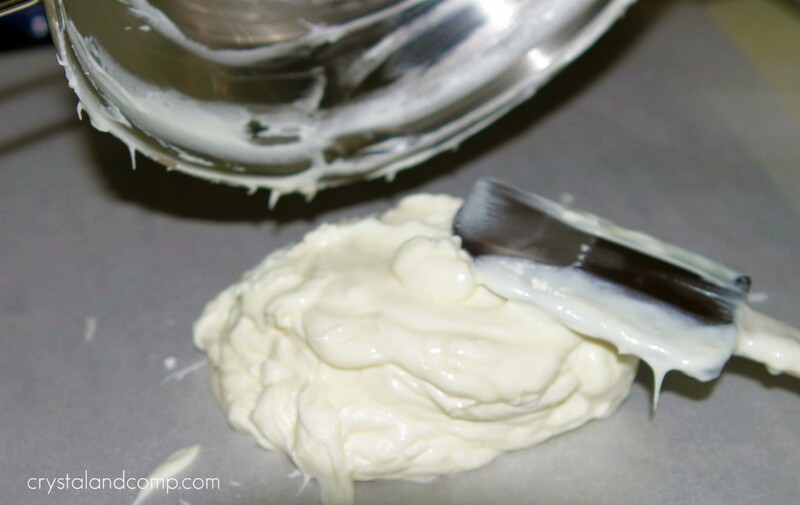 I am sharing this recipe on these resourceful sites: i heart naptime, the girl creative, C.R.A.F.T. craftomatic, crafts keep me sane, skip to my lou, making the world cuter, a southern fairytale, sumos sweet stuff, mad in crafts, tip junkie, tasty tuesday, tempt my tummy tuesday, craft edition, hope studios, todays creative blog, sew much ado, someday crafts, we are that family, blue cricket designs, somewhat simple, paisley passions, house of hepworths, fun to craft, fingerprints on the fridge, tidy mom, a few of my favorite things and it’s a hodge podge life. Looking for a more copious list? Here are over 50 sites to search for and share projects and tutorials. I Love your recipe! Would you come over to Cast Party Wednesday tomorrow and share your tasty recipe with us? Looks tasty! I can see how you could play around with the basic idea and get all kinds of fun salty/sweet combinations. This is such a cute idea Crystal. I am going to have to try it out. Thanks for sharing your idea. Oh my! That looks DIVINE!!! YUMMY! I HAVE to make some! Super cute and tasty looking! I linked to you from What’s on your plate?. Thanks! Please stop by and link this to my Halloween Traditions link up on Oct. 24th. This looks too good to eat! Thanks again for linking up with the Fun for Kids linky. Heather @ Localfunforkids recently posted..Fun for Kids ~ Crafts, Recipes, Family Activities and More! 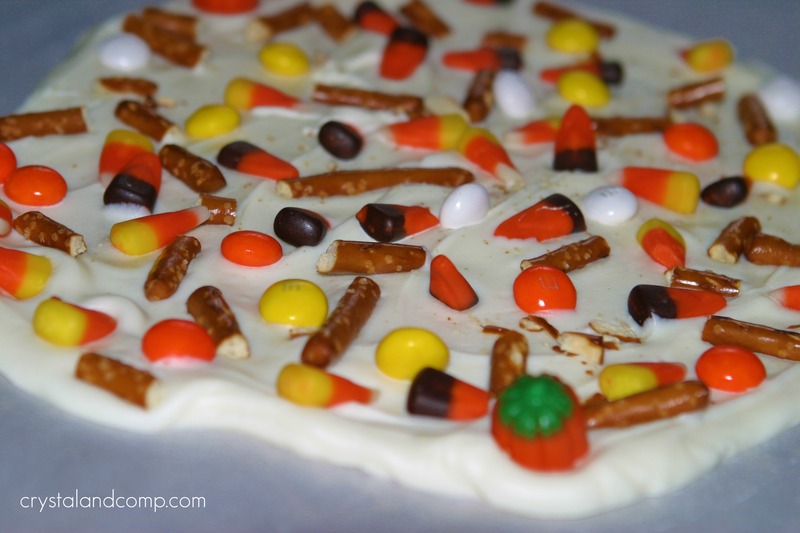 I just love the sweet and salty combination for your Halloween Bark. It looks very good and a lot of fun! Thank you so much for sharing with Full Plate Thursday. Hope you have had a great week end and come back soon! Yum! 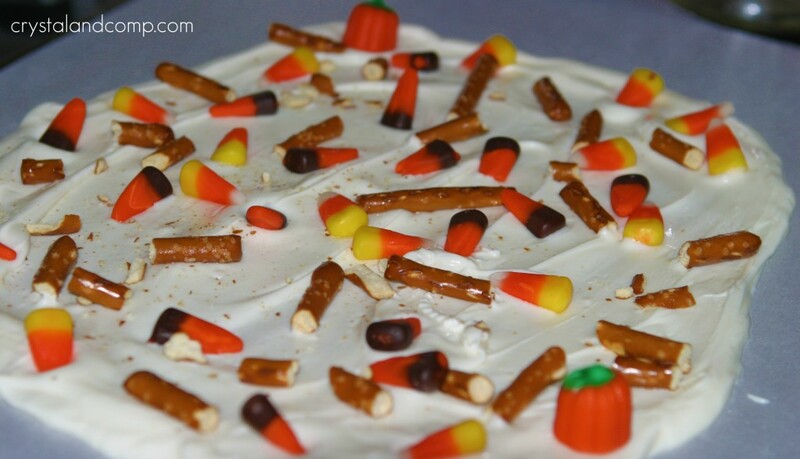 I make something similar at Christmas…love it with the candy corn and candy pumpkins!! saw you on Tip Junkie! 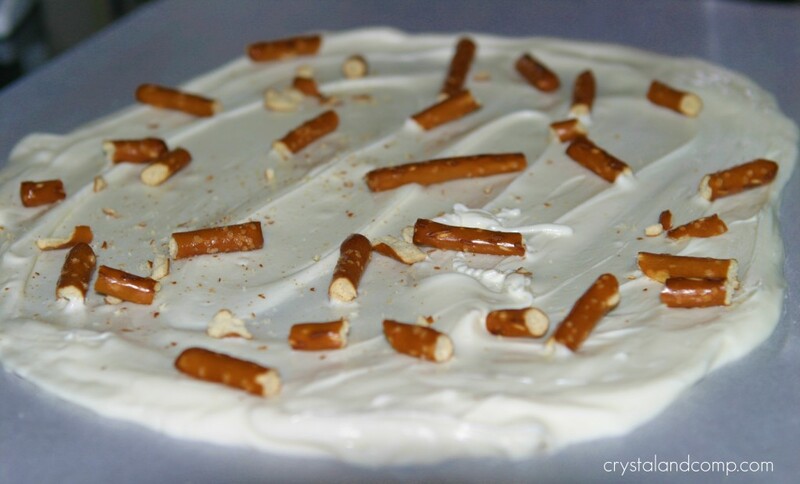 This looks great – love the combination of sweet and salty! pandora’s box recently posted..One Christmas Gift – DONE! 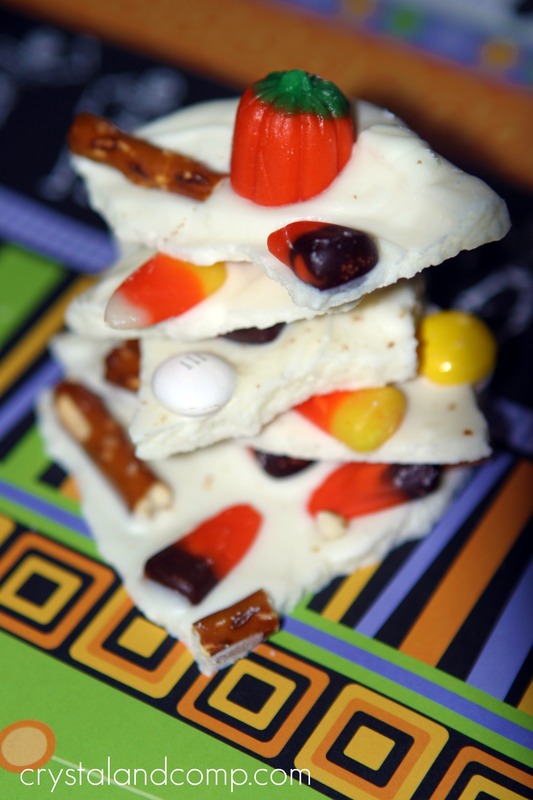 I love holiday bark, what a great halloween version! Would love for you to come over and link up to my Tasty Tuesday party tomorrow! I’m always looking for some new recipes to try out and this looks super easy and super yummy!! Thank you for sharing over at the Thoughtful Spot Weekly Blog Hop! I chose you as one of my favorites this week.